Remember back in the day when all you needed from a printer was the ability to print? This is no longer the case, with machines that not only print, scan and copy but also fax, connect to wireless networks and print from mobile devices with one quick touch. They range from under £100 to over £350 with features to suit every small business – but what is the best all-in-one printer for you? If you are looking to buy the best all-in-one printer for your small business but have no idea where to start then worry not, we have you covered. The HP Page Wide Pro is the best all-in-one printer for small businesses with a heavy workload that needs colour, blazing fast performance and high print quality. It is not just good for quick, quality printing though, as the quality of its photocopies and scanned documents are equally impressive. However, with reports of people experiencing a small degree of bleed-through on cheap, thin paper, it is recommended to use higher-quality paper to get the best results. Apart from the need to buy slightly thicker paper, this machine boasts some ridiculously low running costs. The higher yield cartridges offer up an astoundingly low price of 1.17p per page for black and white printing. You are going to need those savings though as this machine is not cheap. 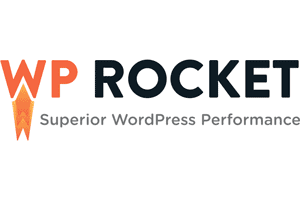 It is however insanely fast coming in at a print speed of roughly 42 pages per minute. That is a page printed every 1.43 seconds, perfect for any business that publishes long documents! Most all-in-one printers are cheaper than the EcoTank as the manufacturers tend to make their profit by selling their ink cartridges at a significant markup. The Epson EcoTank is noticeably more expensive than many of its rivals, but more than makes up for this with its ridiculously low running costs. The ET-3750 is now being sold with enough ink to print an impressive 14,000 pages in black and white, and 11,200 pages in colour. When it does get the time to refill it is going to cost you approximately 0.005p a page! Epson has done away with the traditional cartridges and instead has a large ‘tank’ that is capable of holding enough ink to print thousands of pages before you need to buy any refills. So not only is it cheaper to run but also reduces waste from thrown away cartridges. Investing in a more expensive printer here could save you money in the long run. 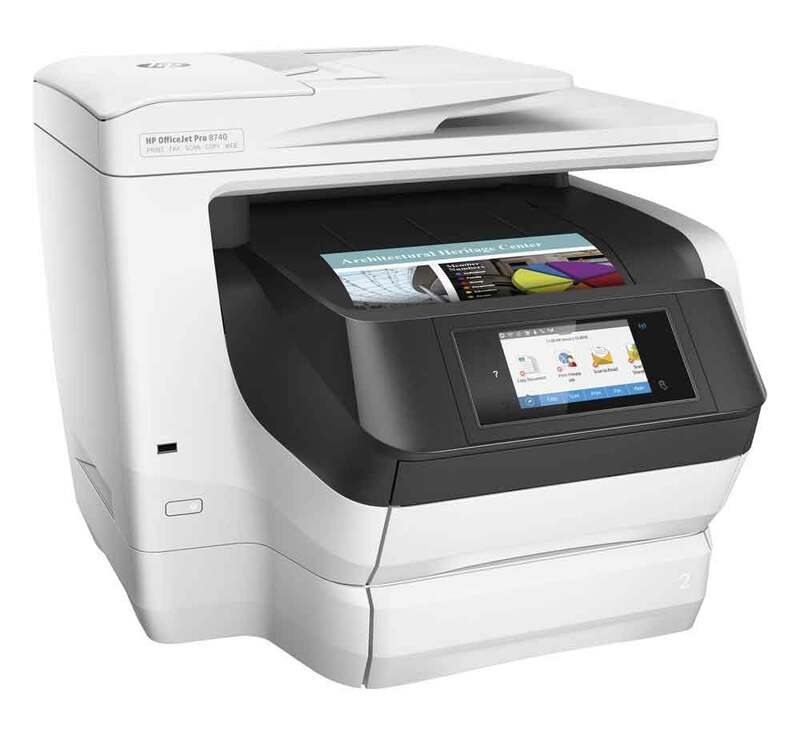 Connectivity includes USB, Ethernet and WiFi for easy office printing as well as Apple‘s AirPrint for iOS devices. 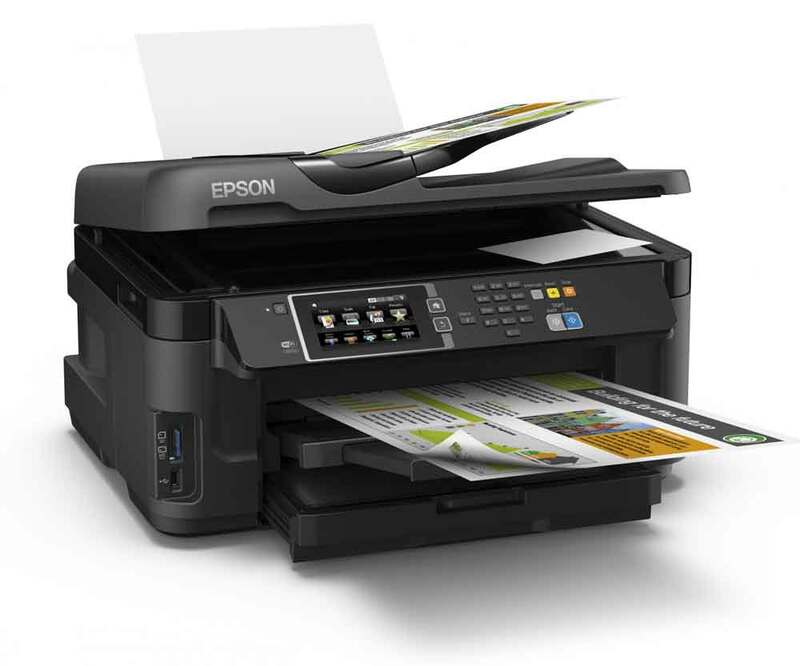 If you are an Android user, then you can download Epson’s free iPrint app. If you are going to be doing much printing, then this printer is for you. However, if you are only printing occasionally, then read on! Much like the Epson EcoTank ET-3750 above, the big selling point of the Canon PIXMA G4500 is the refillable ink. Instead of buying wasteful and high-priced cartridges the ink refills are very inexpensive in comparison. This does mean that the machine itself is more costly so it only makes the purchase worth it if you are going to be printing a lot, over time and extended use as only then does it becomes less expensive than a similar printer which uses ink cartridges. The design of this all-in-one printer enables you can keep an eye on the levels of your ink via the translucent panels at the front of the machine, perfect for avoiding that late night low ink message when you need to print! If your working space is small, but you need to print a lot with high quality, then look no further. 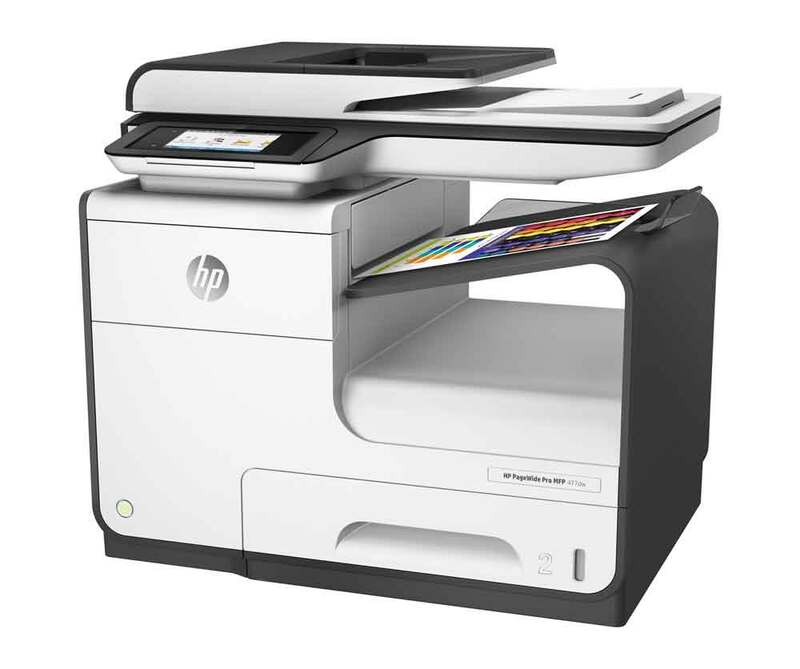 The small and quiet HP Laserjet Pro is a high printing speed mono laser printer. It is just a mono printer though so if you are hoping to print in colour then continue your search. While not exactly expensive, it is also not the cheapest to run with the cost per page coming in at 3.5p. If you opt for the high yield cartridges that cost per page comes down to a much better 2.3p. Also, if your experience with printers so far has been one of frustration, then you will be pleased to hear this machine has a distinct, intuitive and easy to use touchscreen. You can even set the printer to email a scanned document directly, with very little fuss. 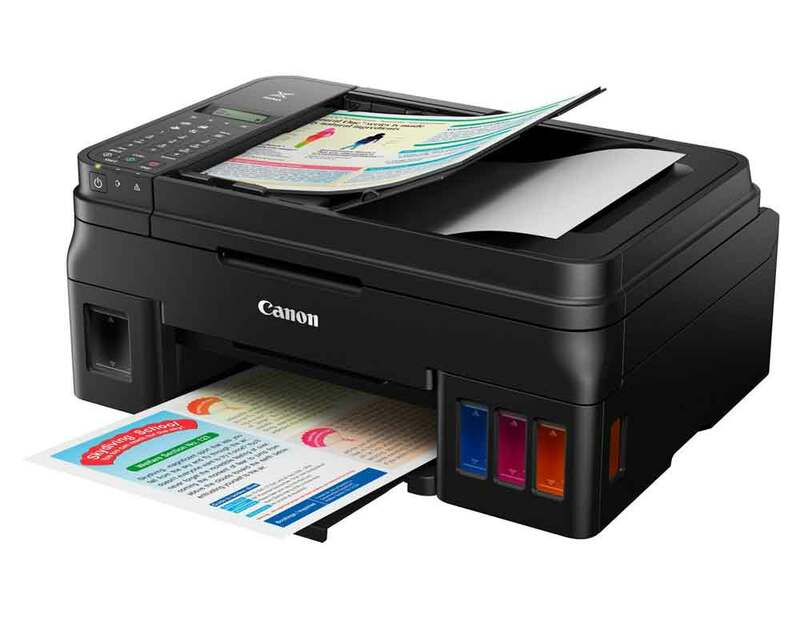 The Canon Pixma makes the list as a printer that can hold its own in a home office environment, but its real talent is with photo printing. It is a printer that can function for both business and personal use. If you opt for the higher yield cartridges, text printing comes in at a very respectable 2.5p per page. Don’t buy the ‘standard’ sized cartridges as costs jump up to 3.7p per page, not suitable for small businesses where every penny adds up. The savings continue with colour printing too. The higher yield cartridges give you costs of just 6p a page, which is a bargain with the quality of the colour printing on offer here. The six ink system that Canon is using improves the colour fidelity, and a sixth cartridge (grey) helps with express shading, meaning that you will have to replace the black cartridge much less often. For those just printing black and white, say hello to the Ricoh SP 150 and goodbye to colour. The initial purchase price is lower than some of its rivals, due to no colour printing, but toner is expensive if you pay Ricoh’s recommended rates. Fortunately, you can find discounts on the high-yield cartridges if you look around online. One downside to this budget all-in-one printer, however, is that it merely spits your pages out through a slot in the front of the printer, strangely there’s no output tray. You will need an extra bit of desk or shelf space to stop your documents falling onto the floor. 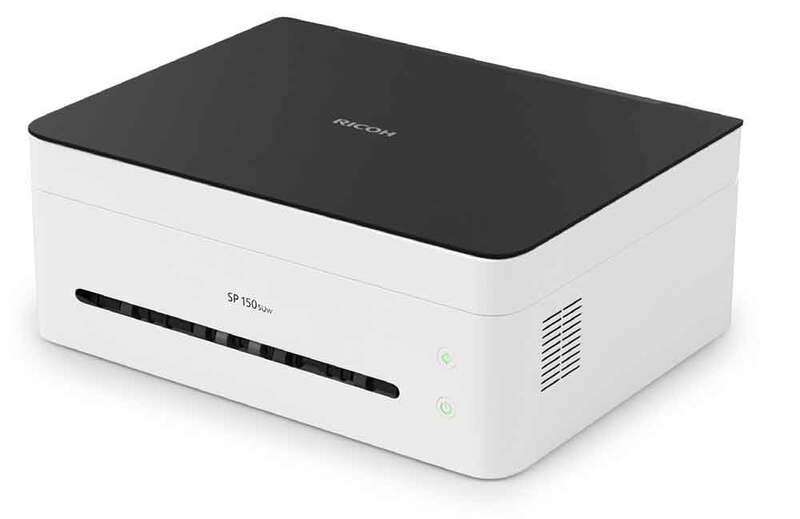 This printer is intended for small businesses that need a fast, high-quality laser printer for black and white documents, with Apple and Android apps available too. 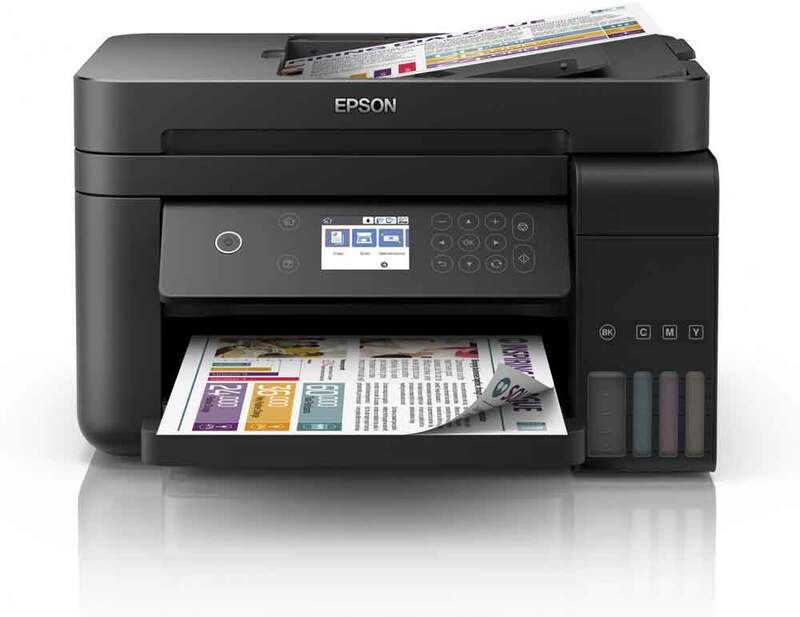 The Epson WorkForce Pro WF-4740 offers a right mix of features and capabilities for a reasonable price. 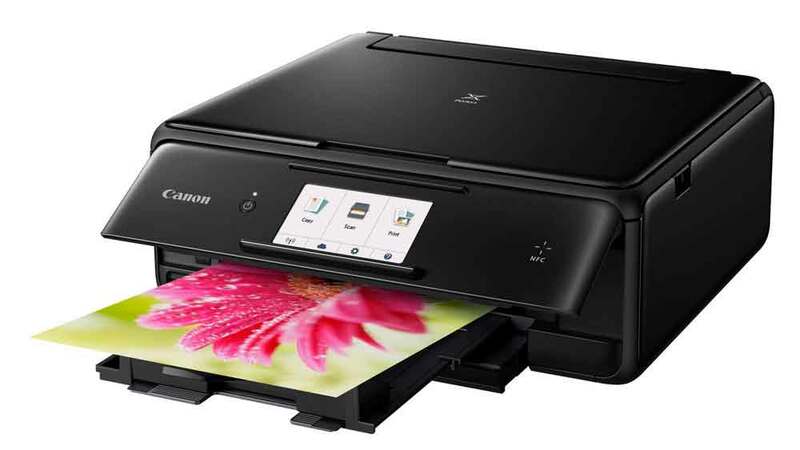 It is fast, provides excellent print quality and is a relatively compact all-in-one printer with these capabilities. 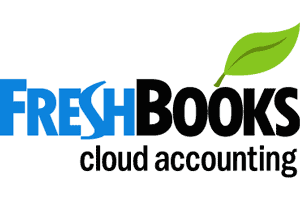 It also has a slew of different connection options including the now standard Apple AirPrint and Google Cloudprint as well as Epson’s app for everyone else. For Android devices, Near Field Communication (NFC) is also available for that easy phone-tap enabled printing. There is also the ability to print photos as a nice added extra, but it is the speed and the quality of the printing that makes this printer one to check out. 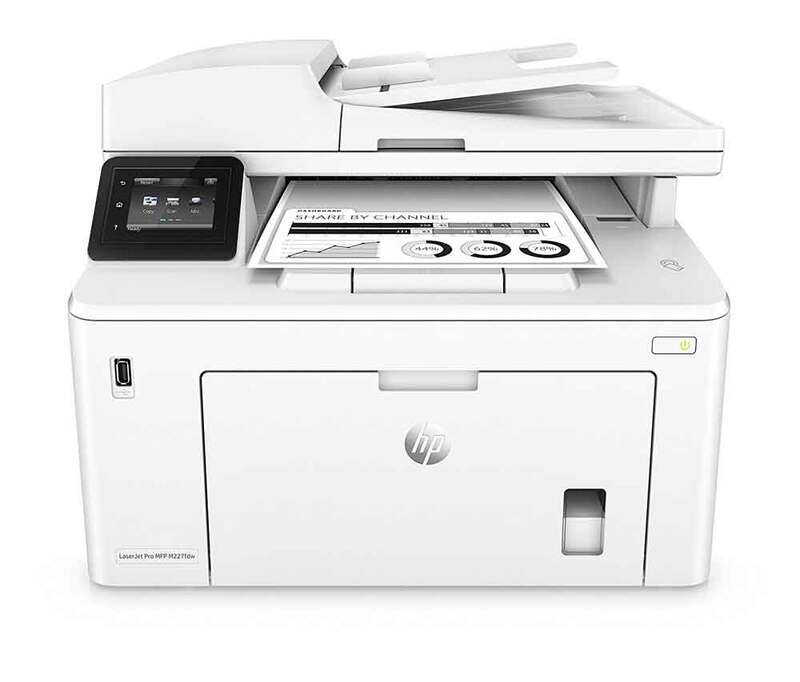 The HP Officejet Pro boasts the ability to function as a standalone copier and fax machine in a much smaller form factor than a traditional office copier, though still larger than a lot of other printers on this list. You can both print from and scan to a USB drive which means you do not need to boot up your computer if you just need to get a paper document on or off a USB stick before rushing out of the office to an important meeting! 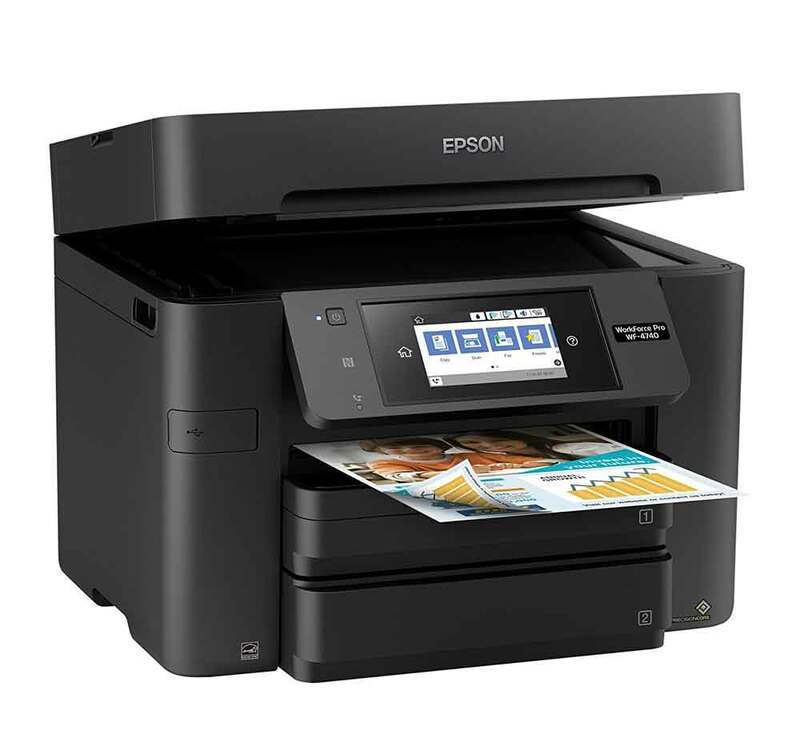 This machine also allows you to use NFC technology to print from your phone, making it entirely possible to have a PC free workflow if you just need to print a document. It is also a reasonably fast machine, printing at roughly 24 pages per minute. The second Epson Workforce printer on this list differs in one central area – the ability to print up to A3 size documents. Most other A3 all-in-one printers can still only copy and scan in A4, but the WF-7610DWF has a sizeable A3 flatbed scanner on top. There’s also the option to print full A3 sized photographs which takes about three and a half minutes. This might seem slow, but for an A3 machine of this size that’s quite an impressive feat. It is also cheap to run, using high yield cartridges it will cost only 1.1p per A4 page for black and white and 6.3p for colour. There are printers out there that can beat that colour print price, but they are not A3 printers! 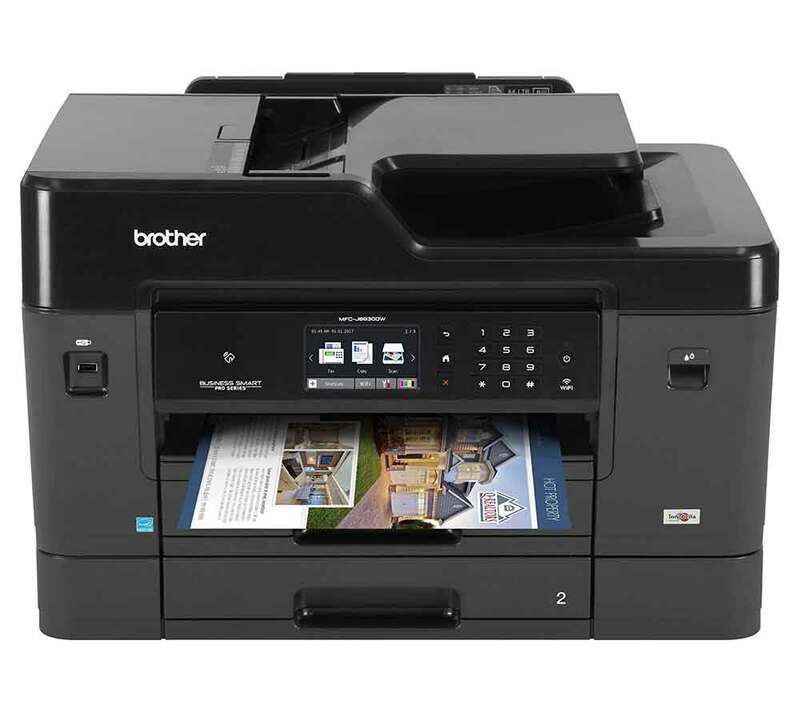 This Brother printer boasts the ability to print up to A3 and easily connects to a plethora of cloud services such as Google Drive, Evernote, Dropbox, Facebook, Flickr, OneNote and OneDrive. Once you have used up the ink cartridges that come with the printer, you would be better off opting for the high yield versions that Brother offer. This means printing will only cost 0.8p per page for black and white printing and 4.2p for a colour page. Print speed depends on the paper size and the resolution you print at, but even for A4 printing on the black and white setting, this all-in-one printer is not going to be breaking any records. The results themselves are excellent quality though so it is a trade-off; quality for speed. At higher resolutions, this printer is even good enough for design work. 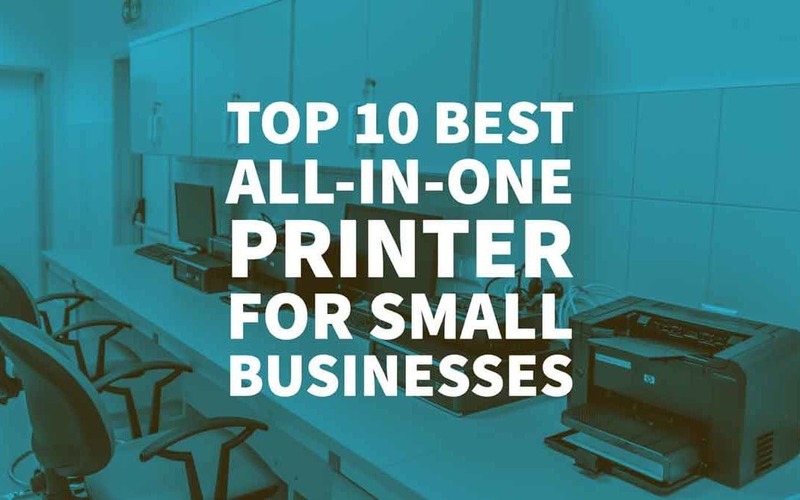 With so many options out there for the best all-in-one printer for small businesses, it is essential which features are most important for your needs. Let us know in the comments below if you have any suggestions! Author Bio: Written by Fat Lama – Bradley Allen is a content writer for the peer-to-peer rental marketplace. HP Envy 5530 Printer, you just need to visit our main website 123.hp.com/setup envy 5530 and follow the setup instructions mentioned on it. I am looking for an all in one copier, scanner, fax machine to lease monthly for our office. 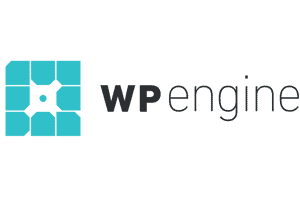 Max 4000 pg per month, wi-fi and maintenance option a must. black – white and colored as well. 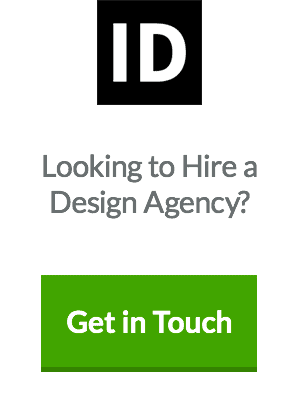 Please e-mail me if you have this kind of option.